Biodegradable Synthetic Elements ESTER There are 3 products. Maxigear 150 BBO is a biodegradable lubricant, formulated with synthetic bases with a high rate of biodegradability and a system of additives free of heavy metals and components that are dangerous for the environment. 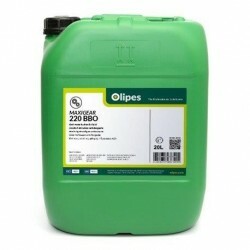 Maxigear 220 BBO is a biodegradable lubricant, formulated with synthetic bases with a high rate of biodegradability and a system of additives free of heavy metals and components that are dangerous for the environment. Maxigear 320 BBO is a biodegradable lubricant, formulated with synthetic bases with a high rate of biodegradability and a system of additives free of heavy metals and components that are dangerous for the environment.